Cathy Hemly plucks a Granny Smith apple and shows us how the gentle motion of the leaves, caused by the breeze, leave faint hazel scars on the apple, marking the passage of time. She calls attention to the gradient blush of sunset orange on the otherwise pale green granny smith, to the exact location on the fruit where the sun imprints itself like a vibrant signature as we revolve around it day after day. “The Japanese will pick the leaves around the apple and turn it daily so the whole surface is this same color,” Cathy remarks with admiration. And to her and her family this dedication is obvious, as obvious as the precise crispness that a Gala apple must be in order to be ready for harvest. 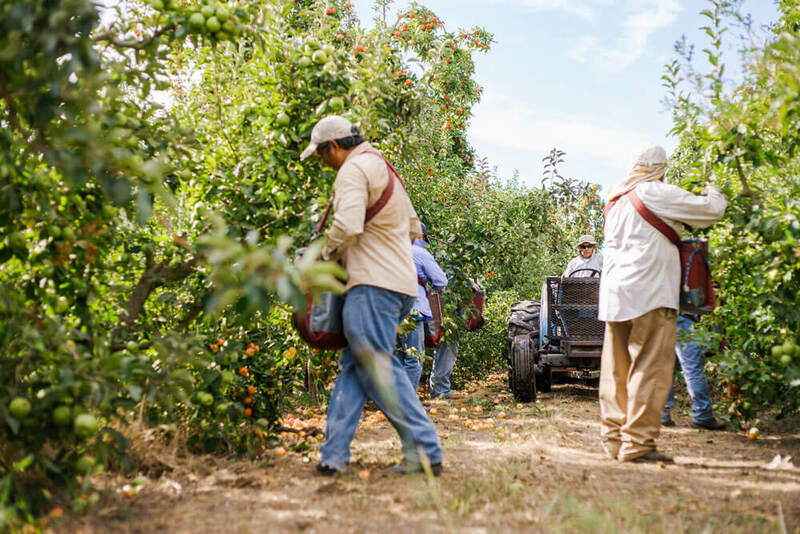 Cathy and Doug Hemly, along with their kids, Virginia and Matt, run Greene and Hemly orchards, and to them it is simply obvious: it is the care, the quality, and the constant innovation that goes into producing such a consistently high quality fruit. 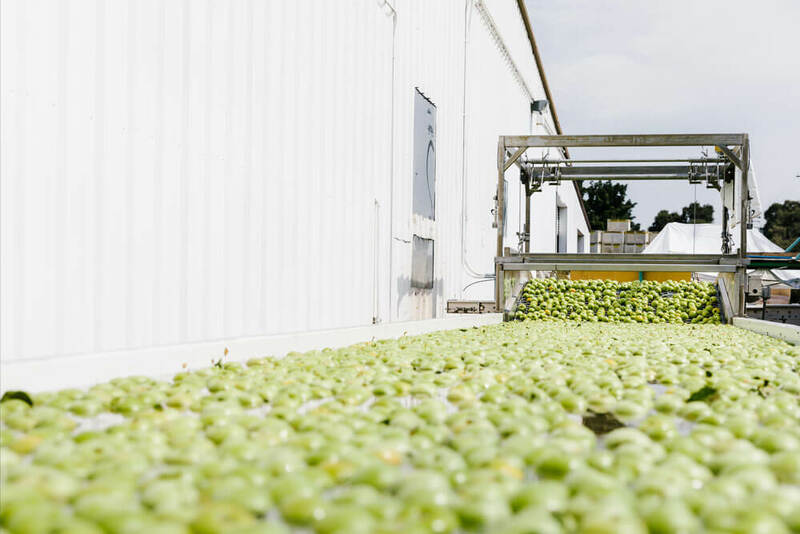 More than just a Courtland institution, Greene and Hemly have aided in the development of innovative solutions for organic apple farming. 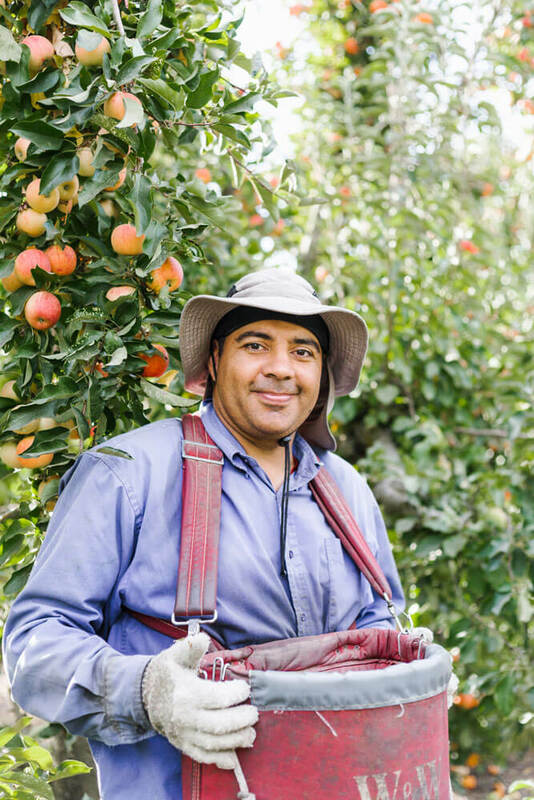 Decades ago, Codling moths, pests that devastated orchards, were the bane of California apple growers. While growers up north could rely on the cold to stifle the rapid reproductive cycle of these insects, growers in warmer climates had to combat up to four generations of moths in just one summer. This also coincided with the chemical revolution in agriculture, but after applying the pesticide equivalent of the “nuclear option” to the farm one summer and seeing the desolation it caused: the moths were dead, sure, but so was everything else, including small animals. The growers at Greene and Hemly knew that this tragic solution couldn’t persist – it was wholly unsustainable. “Learning to work with nature is a grower driven initiative,” Cathy says in reference to the integrated pest management solutions developed decades ago during the Randall Island Project, a collaboration between Greene and Hemly and researchers at UC Berkeley’s Department of Entomology. They developed an ingenious solution to introduce natural pheromones that induce sexual confusion in Codling moths, effectively discouraged them from invading orchards. Over time, the moths left the apples alone and Cathy described the growers’ satisfaction at discovering a solution that didn’t provoke nature with indiscriminate pesticides. Now this strategy is used by organic apple farmers all over the world and it started right here, at Greene and Hemly. 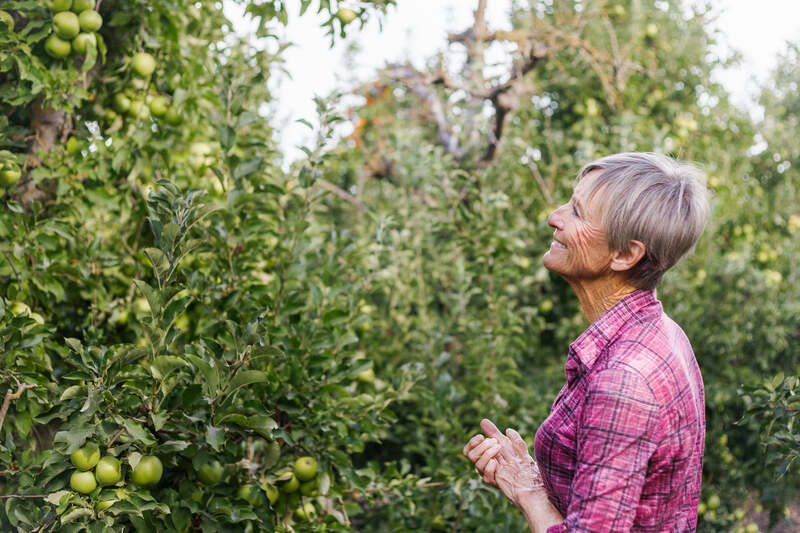 Toward the end of our visit, as the sun rises to its zenith over the low, earthly rows of orchard, Cathy thoughtfully examines a ripe Granny Smith in her hand. She tells us she’s glad her children came back to run the farm, that they found their way back to this way of life. 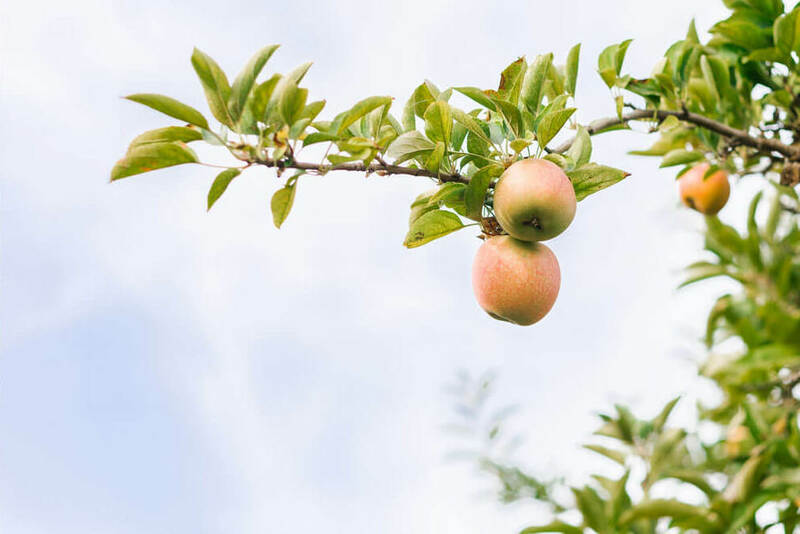 A life of providing and maintaining, “we grow food for people to eat” Cathy’s simple statement belies the expertise and attention her family gives to the orchard harvest after harvest. All this thought and work, all this care and innovation, entirely in the pursuit of your perfect, seasonal, California apple. Just imagine how it will taste. Here at Thistle, we source locally and organically when possible. 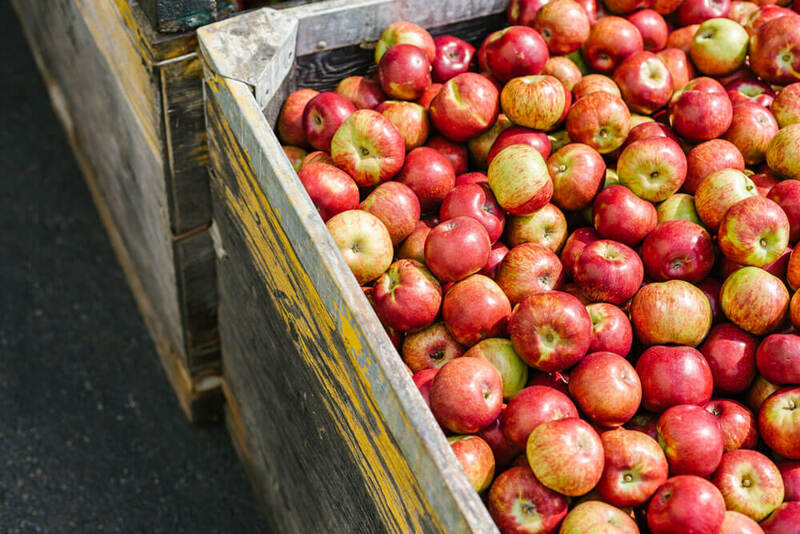 You'll find Greene + Hemley apples in our dishes all fall. Check out our menu to see what's coming up this week.